It’s another lovely day in Melbourne, which is the backdrop for the 2nd match in the tri-series. 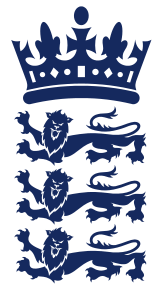 Today, it’s the top two nations in One Day International Cricket, and the two sides that have won the last 2 world cups, as we continue the countdown to the next installment of that great tournament. It’s Australia against India, and no doubt, India will be looking for redemption after the 2-0 loss in the Test Series, but the fact that they fought hard, and got two draws in that series, is testament to the team they’re becoming. Hello everyone. Welcome to the Melbourne Cricket Ground for Game 2 of the series, following on from Australia’s brutal display against England the other night, where they won with 61 balls to spare, and grabbed a bonus point for their efforts, we’re here for what should be a cracker of a contest between the best nations in this form of the game. For the second time in as many games, Australia will be chasing, as the news off the top here, is that India have won the toss, and will bat first. Here are the two teams for you… we’ll have more from the MCG in just a moment! 2:20pm | Hello again from the Melbourne Cricket Ground, where we’re about to get play underway in this, the second match of the Carlton Mid Tri-Series. Today, it’s Australia against India, and we’re set for fireworks, as Rohit Sharma will open the batting for the visiting side… of course, not so long ago, he walloped 264 in a One Day International on home soil… it’ll be interesting to see what he can do here. Axar Patel is the only new face in the Indian Team… we didn’t see him in the Test Series, but he has 10 previous ODI’s to his name. 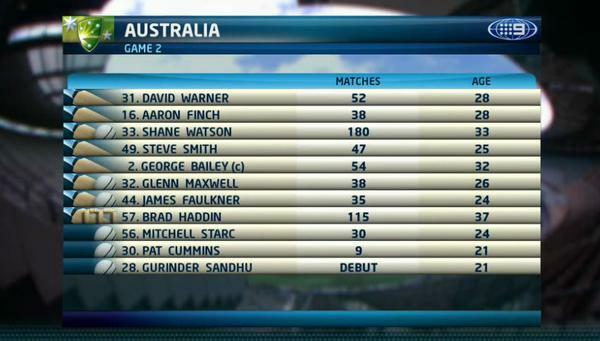 For Australia, Gurinder Sandhu makes his debut… what a special day for that young man. Shikhar Dhawan joins Rohit Sharma in the middle, and Mitchell Starc will open the bowling like he did on Friday. Let’s go to the Commentary Box, and say Good Afternoon to Mark Taylor, David Lloyd and James Brayshaw! GONE!!! FIRST WICKET IN THE FIRST OVER AGAIN FOR MITCHELL STARC… WORKING BRILLIANTLY WITH THE NEW BALL, AND IT’S DHAWAN WHO IS OUT EARLY IN THE PIECE! It’s been a good start for India, despite the loss of Dhawan… they’ve moved along to 1/32 after 7, and they won’t be unhappy about that. Change in the Commentary, coming in are Ian Healy, Michael Hussey and Michael Slater! GONE!!! JUST WHEN WE SAID THEY’D BE HAPPY WITH THE START, IT’S NOW AUSTRALIA WHO HAVE THE ASCENDENCY! SANDHU HAS HIS FIRST WICKET IN ONE DAY INTERNATIONAL CRICKET… AND IT’S A DANGER MAN TOO. RAHANE IS ON HIS WAY… 2/33! GONE!!! THEY’VE GOT KOHLI… WHO WILL BE KICKING HIMSELF… HE’S PLAYED A SHOT THAT REALLY SHOULDN’T HAVE BEEN PLAYED, AND HAS PAID THE PRICE, AS THE BALL GOES SKYWARD, AND FINDS THE HANDS OF GEORGE BAILEY! 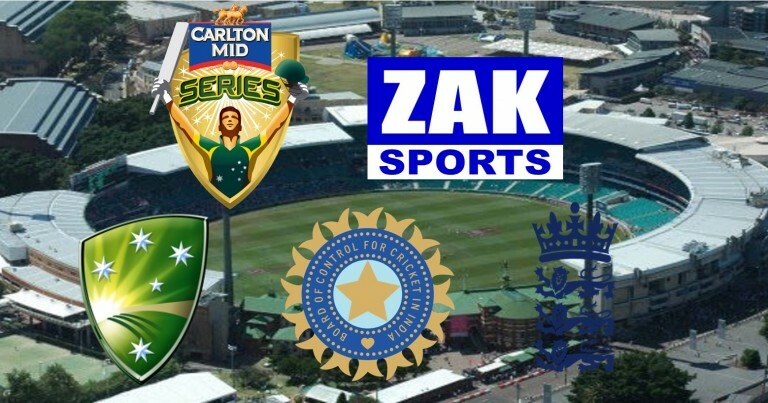 Raina comes to the crease, as Faulkner picks up his first, and now India need to do some repair work… here are David Lloyd, Mark Taylor and James Brayshaw to tell you more about it! Suresh Raina is starting to settle in, and Rohit Sharma is all class as usual. India are 3/89… 7 an over from here would get them 299, which they’d take if you offered it to them now. Pat Cummins has the ball… Michael Hussey, Michael Slater and Mark Nicholas have the Microphones! FIFTY for Suresh Raina… great performance from this man… bouncing back from his pair at the Sydney Cricket Ground, and forming a key partnership here with Rohit Sharma! 3/182 as Michael Hussey, Mark Nicholas and Michael Slater take over commentary! Mahendra Singh Dhoni makes his way to the middle… the Indian Captain has a big role to play in the last 15 overs, to ensure India have a big total to defend tonight! 5:12pm | HE’S GOT IT… DOES IT WITH A SINGLE, AND THAT’S A SUPERB HUNDRED TO ROHIT SHARMA! Not quite the spectacle he put on against Sri Lanka a few months ago, but his best Innings of the Australian tour so far, but, given the situation of the game, the job is far from done. GOT HIM!!! DHONI HAS CHOPPED IT ON… AND THE CAPTAIN IS ON HIS WAY! GOT HIM!!! LBW!!! STARC HAS FOUR, AND PATEL COULD PROBABLY CONSIDER HIMSELF UNLUCKY! Again, if India would use the review system… How many wickets could’ve been overturned this summer? A MAGNIFICENT INNINGS HAS COME TO AN END, BUT NOT BEFORE ROHIT SHARMA HAS PUT INDIA RIGHT INTO THIS CONTEST AT THE MCG! It was crucial that one of their strike men went on to make a big score, and it’s helped ensure that India have a solid total to defend tonight. Starc has five, and will now bowl to Kumar! BOWLED HIM!!! FIRST BALL… STARC HAS SIX, AND HE’S ON A HAT-TRICK! That’s the end of the Indian Innings… the wickets of Dhoni and Sharma near the end really helped Australia… what could’ve been 280-300 for India is instead 267! Brilliant Innings from Sharma, 138 from 139 balls… he had to help rebuild the ship when they were 3/59, but once he and Raina got things back on-track… the shots came out, and we got a real good indication as to why this man is one of the most dangerous in the game of Cricket. Mitchell Starc was brilliant too… career best ODI figures for him… 6/43, including all the big scalps. So, Australia are chasing 268 for victory tonight, and that won’t be an easy task at all, against a very good Indian team. We’ll see you for the run chase, after Nine News! Hello again from the Melbourne Cricket Ground, where Australia need 268 to win this match in the Carlton Mid Tri-Series, after a solid performance from India earlier this afternoon… It’s a magnificent atmosphere here, with a very good crowd in attendance. David Warner and Aaron Finch are out in the centre, and Bhuvneshwar Kumar has the ball in hand, ready to go… Waiting for us in the Commentary Box are Ian Healy, Mark Nicholas and Michael Slater! GONE!!! THE BREAKTHROUGH FOR INDIA, AND IT’S THE MAN WHO DOMINATED FOR AUSTRALIA THE OTHER NIGHT… DAVID WARNER! MISSES OUT THIS TIME, WHILE TRYING TO SCORE QUICKLY, AS PER USUAL! Watson is the new man in, and to tell you more about it, Mark Taylor, Michael Hussey and James Brayshaw! BOWLED HIM!!! SHANE WATSON IS GONE!!! 9:15pm | GONE!!! JUST SHY OF THE HALF CENTURY… AND THE MAN WHO HELD THE KEY IN THE TEST MATCHES HAS FAILED TO FIRE IN THE SHORT FORM ONCE MORE. 9:22pm | OUT!!! NO… AARON FINCH FALLS AGONIZINGLY SHORT OF A CENTURY, AND INDIA ARE MOUNTING A COMEBACK HERE AT THE MCG! GOT HIM!!! THEY’VE GOT ANOTHER ONE… THEY’VE TAKEN 3/14, AND ALL OF A SUDDEN, THIS AUSTRALIAN TEAM AREN’T CRUISING ANYMORE! 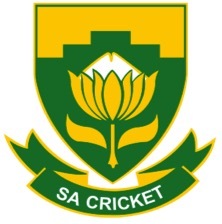 Australia wins by 4 wickets with 6 balls to spare. FOUR!!! THE FINISHER DOES IT AGAIN!!! AUSTRALIAN WIN AT THE DEATH, AND IT’S JAMES FAULKNER WHO SCORES THE WINNING RUNS FOR THE SECOND TIME IN THREE NIGHTS! That was a very entertaining game of Cricket… Australia didn’t make it easy for themselves, but they got home in the end… 2 from 2 in the Carlton Mid Series, and looking good as they continue their charge towards the world cup. Mitchell Starc’s career best figures earn him a second man of the match award in as many matches! So, the Australians have done it again… not quite as easily as Friday Night, but it’s a win and points on the board nevertheless. India left to rue early and late wickets in their innings, and will look to bounce back on Tuesday against England. We look forward to your company then. Until then, from all of us… it’s goodnight!